This will run Chrome on the web page and dump the resulting DOM, which includes all the diagrams and other generated content. On the server, I render the content immediately; on the client, I delay it a little bit to keep the UI responsive. I also made a few other changes, including using <link rel=preload> to load preload images (there aren't many) and <script defer> to defer script execution until the page is loaded. 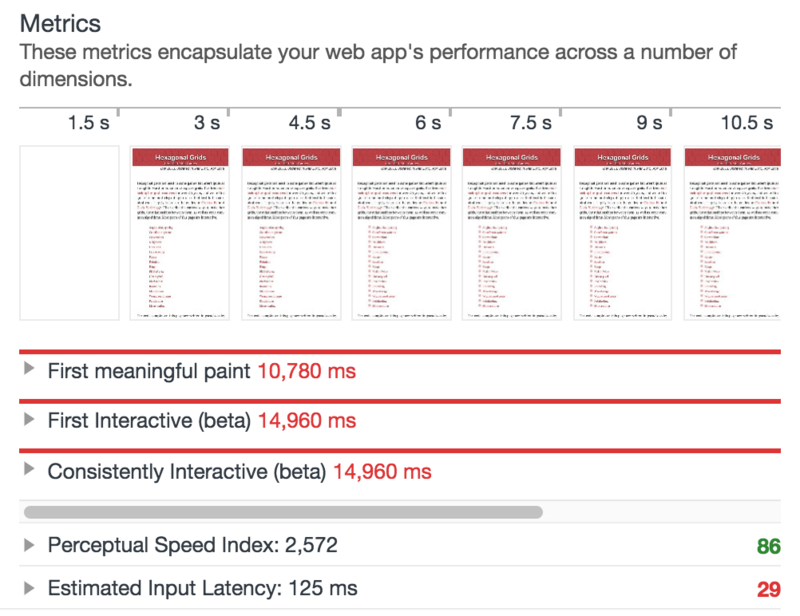 “First meaningful paint” went from 10.8 seconds to 2.2 seconds. Linking to a specific part of the page works reasonably well now. Overall though the new version feels better to me. I haven't tested with a variety of devices or network connections though. If you want to compare, clear your cache and compare the old version to the new version. Leave your notes in the comments. Thanks! I'm happy with the updates I've made, and I'm going to wrap this up and move on to another project. I'm going to play with headless Chrome a bit. I didn't know it and it looks an useful tool for prerendering. That should solve a few issues with slow loading i'm having on a website at work. 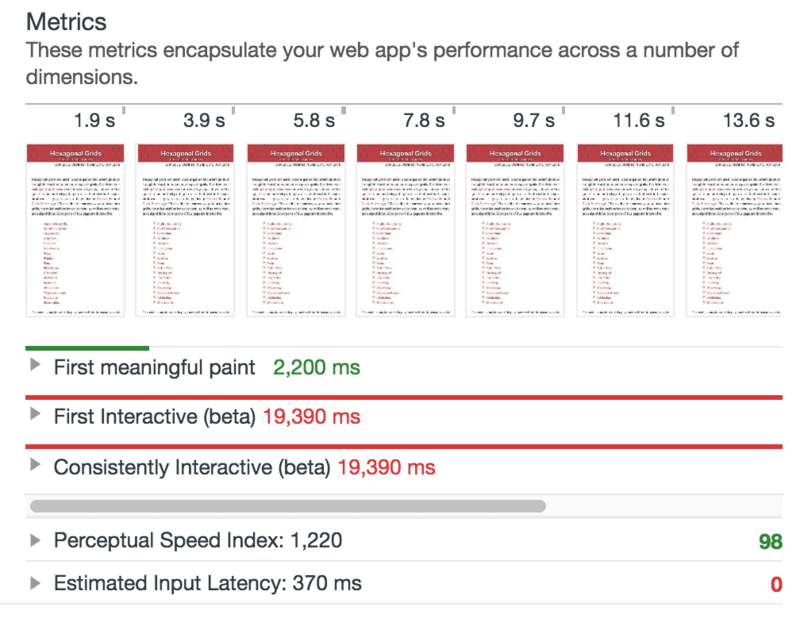 What did you use to get those useful metrics? @Worthstream: Thanks! It's Google Chrome's "Audit" tool. In dev tools, there's an Audits tab. In there, click "Perform an audit". I only ran the Performance part of it.